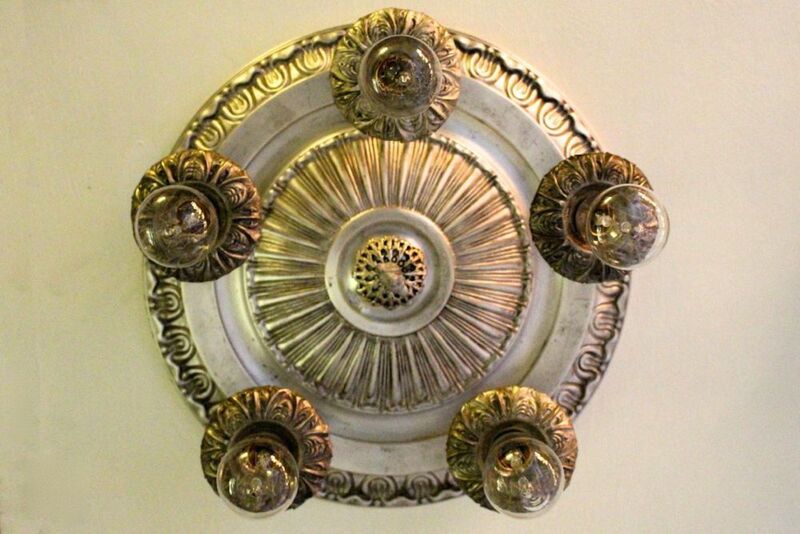 Greek Revival silver plated flush mount fixture, circa 1915. 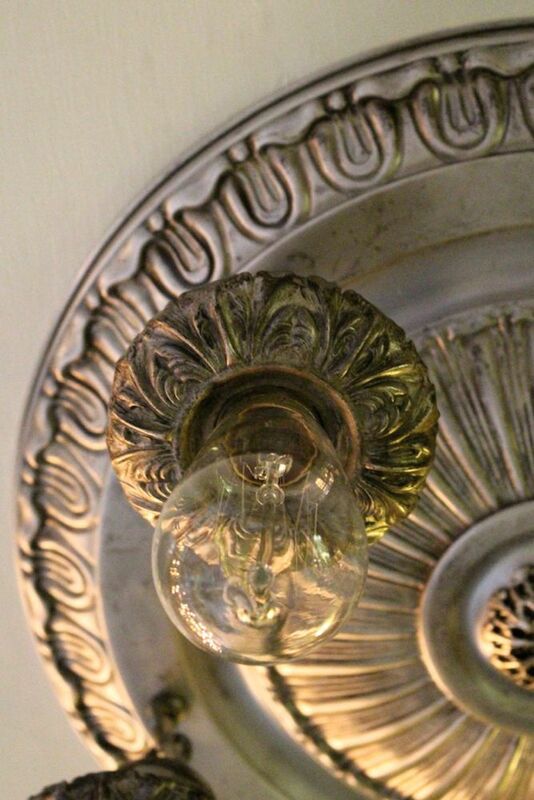 Fitted with Edison (tungsten) bulbs. Found in Kansas City, Missouri. 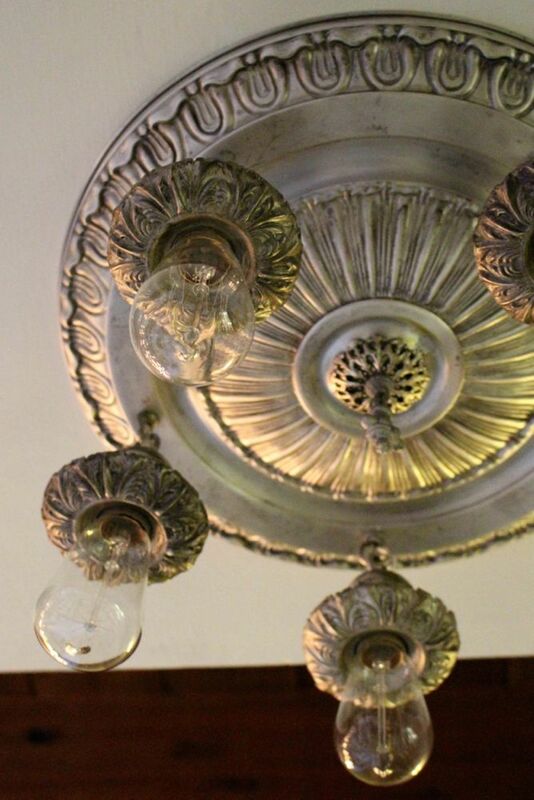 Cleaned, rewired featuring original rustic silvered finish, ready to hang. 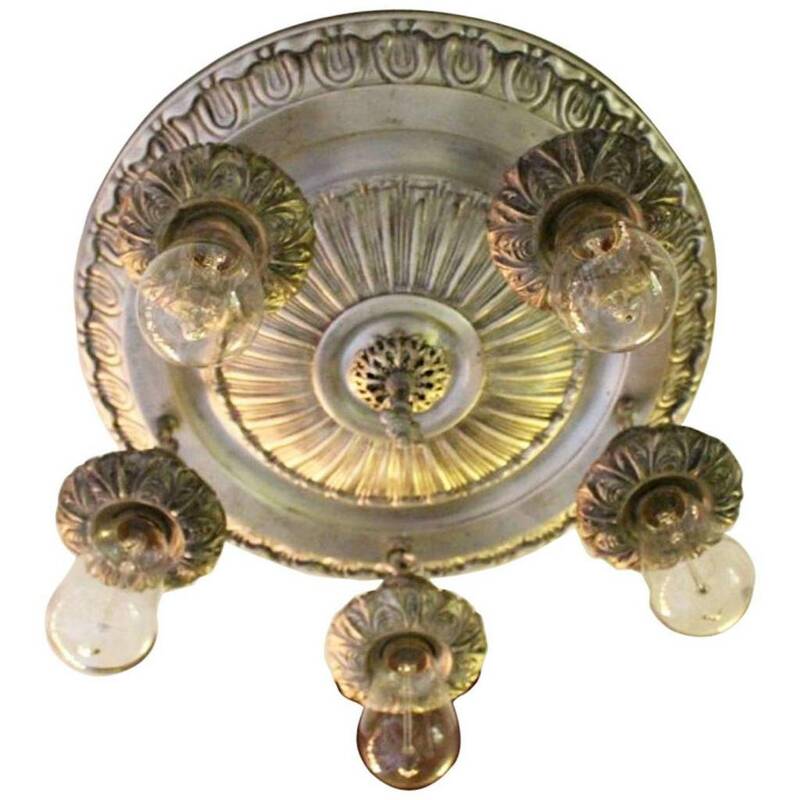 See more: Antique Lighting, Flushmount Lighting. 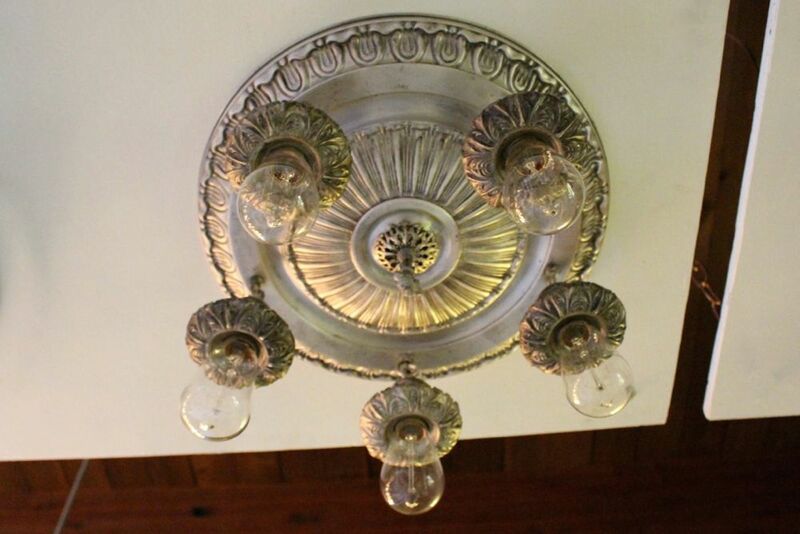 Consider yourself an antique collector in-the-know? 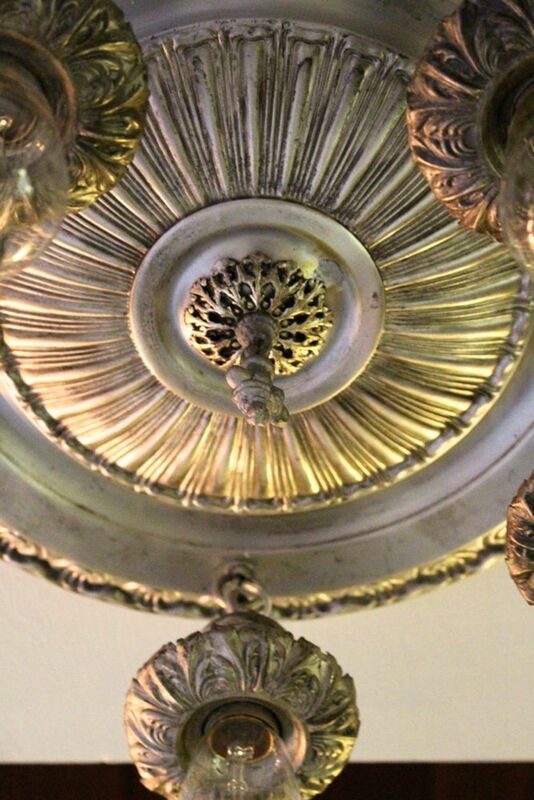 Follow our heritage restoration process & our expanding collection.